Outsourcing – the act of paying someone outside of your business for doing work for your business – is a trend that continues to grow. There are many reasons why Australian small businesses turn to outsourcing to provide services. In this article, we provide an overview of some of the benefits and reasons why businesses choose to outsource work, what to look out for, and how to manage and monitor the work. There is no set timetable for when a business should consider outsourcing. However, there are signs that can point you in that direction. If you have built your business correctly, you will have enough in-house staff to handle all the day-to-day tasks related to your business. When a new project or an additional task is created, your existing staff may not be able to effectively take this extra workload. Outsourcing can be your answer if the new task does not require enough work to justify the hiring and on-site training of a new employee. You may also want to look at outsourcing work if it is beyond the knowledge level of existing staff. This means that you can concentrate on your existing core responsibilities while handing off specialised tasks to others who are more knowledgeable. This can save time and money in the long run. Outsourcing can allow you to build a highly skilled team of professionals as part of your business at a fraction of the cost of full-time staff. Outsourcing gives you a way to have various tasks completed for your business without having to do them all yourself, allowing you to focus on other business details. Outsourcing is a proven strategy that is affordable and still produces business growth without it controlling your life. There is not a lot in the way of work in the average Australian business that cannot be outsourced. That’s because there is no shortage of qualified professionals who have chosen to exit the corporate world and work from home or as a freelancer through a temp service. This would be a business professional such as a consultant. This person could, for example, review records or data on a quarterly or semi-annual basis. The savings to you come from not having to pay a high salary for this position throughout a calendar year. These tasks are the ones that have to take place with regularity in the normal cycle of doing business. Examples would include data entry, taking inventory and accounts payable. This is a role that would be too expensive to fill with a full-time specialist in their field of work who would not be required all the time. Computer, IT support, website design and development, website maintenance and software programming tasks would be examples of this type of outsourcing category. The strengths and values of your business should be able to guide you on what you should not outsource. Naturally, it will be different to each business. Generally speaking, the tasks your business does best are often the ones you may not want to farm out to anyone else to handle. In the small business world, in particular, focusing on the strengths of the business will define and reveal what needs to be improved. Plus, there are in-house tasks that are specific to the core of your business that outsourcing may not be able to match in quality nor passion. Once you have identified the tasks you intend to outsource, you need to approach the process as if you were hiring a new employee. The main difference being that the outsourcer may not live in your community or may be a resident of a foreign country half a world away. Fortunately, there are many ways in which you can reach marketplaces where you can find outsourcers. You can start your search at local and regional employment centers. The internet will also provide you with many freelancing communities, such as Upwork or OnlineJobs.ph, where you can post jobs. Outsourcing is an effective way for small business owners to get more work done. There is not a lot of difference between hiring a freelancer and hiring a full-time employee. The similarities include conducting a reference check and researching past projects related to the tasks you are farming out. This is part of the process of locating a good match for the work. However, verifying that the information is correct can be a challenge, so some extra care may be required. You will want to hire a contractor with good communication skills as most of your contact will not be face-to-face. 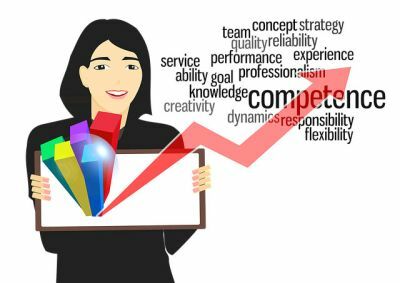 In order to find the right person for the job, you will still have to have a clear definition of what it is you are looking for in an offsite worker and using this as your guide. You can get the outsourcer to sign a contract and NDA, but once again, enforcing these should something go wrong may be difficult. Rather than give full access to systems from day 1, many businesses tend to slowly provide access to more and more tools and information as they build-up confidence in the level of trust and ability in the new hire. especially in the early stages, so that the new hire can prove themselves before being handed more responsibility. Communication will be a key factor in whether or not you are successful in training an outsourcer. The steps and requirements of each task should be spelled out fully as to not result in a misunderstanding. This is especially important if English is their second language. Always remember the contractors cannot read your mind. Along with detailed instructions you should lay out what the expectations are for the task, as well as an approximate timeline or deadline for completion. Expect a learning curve on both sides. Be sure to offer assistance or input if clarification is required at any time during the process. However, they should also be encouraged to solve problems using their own initiative. Once a task is completed, offer constructive criticism where required, and keep in mind the outsourcer will improve as time goes on. Eventually, you will be able to focus on other tasks and let your contractor handle their tasks. Micromanaging defeats the purpose of outsourcing. What Should You Pay Your Outsourcer? As it turns out, this is a variable that depends on two key elements. The skill level of the outsourcer and their location will have a huge impact on the expense of farming out work. For example, a locally-based specialist in the field of work you require will cost you more than a casual freelancer. Outsourcers residing in developing countries often charge far less for their work. Contractors in developed countries will have a higher pay scale. However, their rates often vary in accordance to whether they live in a rural or urban setting to match their cost of living. Setting a flat rate per task is a good idea when evaluating a new outsourcer. If they perform well and deliver consistent work you may choose to either increase the flat rate or switch to an hourly rate. Again, this will depend a lot on the kind of work being outsourced to a freelancer. If you have had to release an employee before, the reasons for dismissal would also apply when working with outsourcers. If they are consistently late with projects or the quality of work does not improve, you have reasons to reconsider the freelancer you have been using. By implementing a trial period, as you would with a new hire at your business, it gives you a chance to see if the contractor will work out. Sometimes you just have to part ways with an outsourcer that does not improve or follow directions even after being reminded to do so. Language barriers come into play in cases where freelancers reside overseas. This is one factor to consider during the hiring process. If the tasks require detailed instructions, you will want someone who can understand what it is you hope to achieve through the task being farmed out. Choosing to outsource, in particular, for Australian small business owners, allows you to take care of the important elements of operating your business. With your workload reduced you will be able to focus your attention on the purpose of your business – to thrive and grow successfully. Many small businesses in Sydney are scared or reluctant to outsource. There is naturally an added level of complexity since you may not be able to actually see the person in the flesh, but for the majority of small businesses, when done right, the positives outweigh the negatives. This is only a very brief guide of what you can expect. Since every business and outsourcer is different, sometimes a bit of trial and error is needed to find what works best for your business. 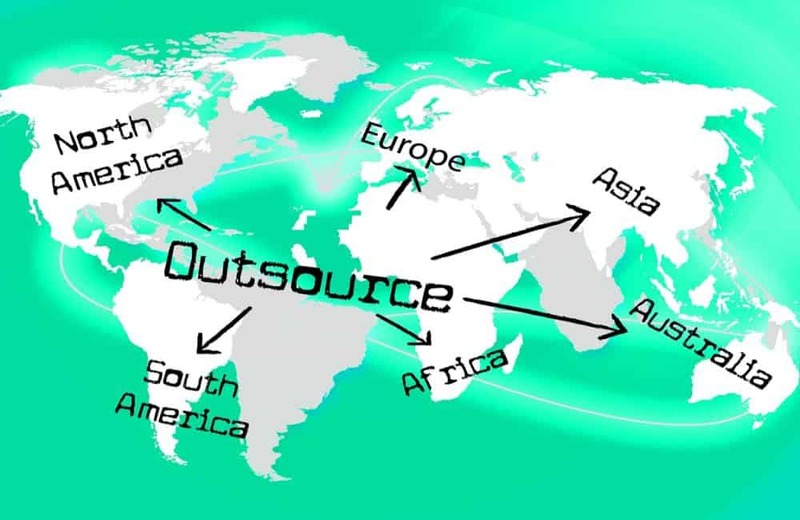 If you have not outsourced before, think about what you might like to try to outsource (start small), build the relationship and the confidence, and start to enjoy the benefits of what outsourcing can offer.